Learning from mistakes is always crucial for brands to improve their reputations, and this means paying ever closer attention to social media, especially as recent research indicates that an increasing number of consumers are turning to social media first to voice complaints, have complicated situations resolved, and when they are in crisis situations. 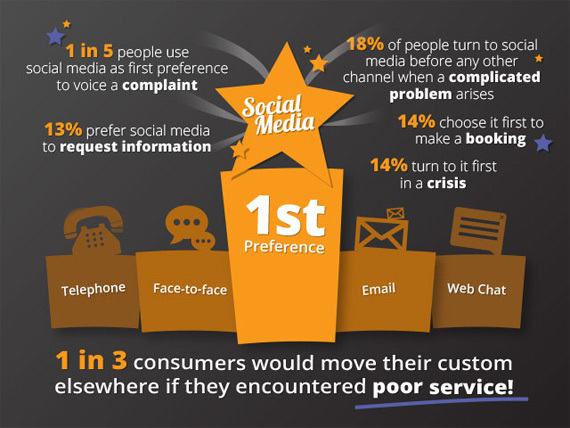 According to a study by customer contact outsourcer Echo Managed Services, almost one in five people (18%) use social media as first preference to voice a complaint, over other contact channels including phone, face-to-face, email and web chat. The same number turn to social media before any other channel when a complicated problem arises and 14% turn to it first in a crisis, such as when a flight is cancelled. A further 14% of respondents then go on to make a booking after requesting information. Almost one-third (29%) of consumers will move their custom elsewhere if they encounter poor service. This highlights the importance of social media for brands, and how closely social media communication needs to be integrated with other PR functions. Customer service must be consistent across all communication channels. Cullen adds: “Due to the variety of queries coming through social media, it should be developed to be as broad as possible and not just rely on stock answers to popular questions – as is unfortunately sometimes the case with social media management. Ultimately, not prioritising social media as much as other communication channels is risky business for organisations and can potentially lead to reputational damage, and lost customers – especially considering the nature of enquiries coming through this channel. 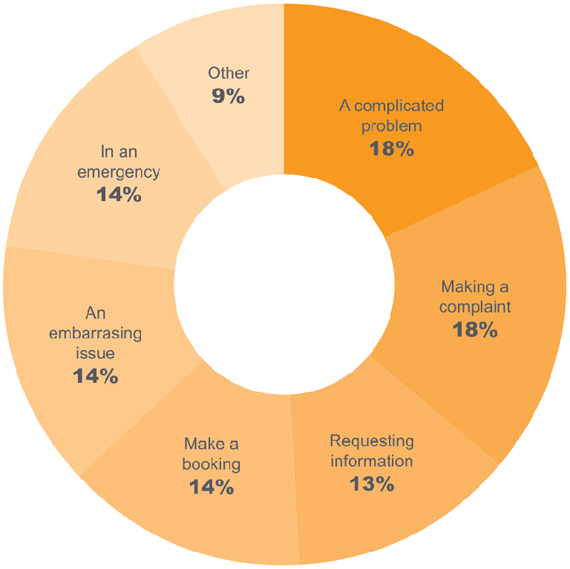 Echo Managed Services surveyed a representative sample of 1,000 UK adults, asking for their experiences in communicating with everyday service providers (banks, utility companies, local government, leisure and retail businesses, etc). The full list of rankings and report can be found here.